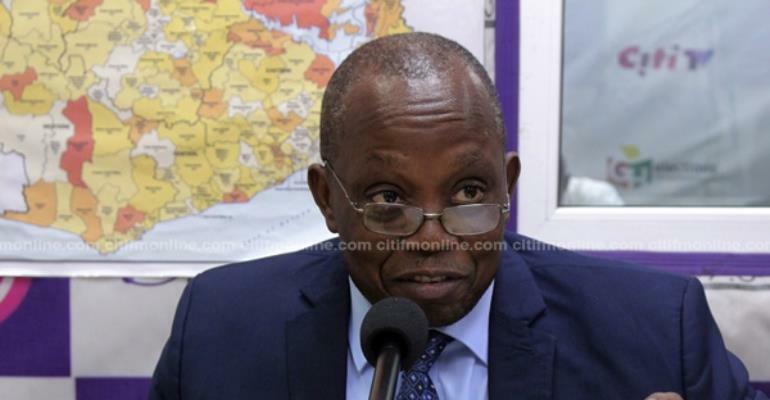 The Auditor General, Daniel Domelevo, says his desire for prosecutorial powers from the Attorney General has abated a little following the appointment of Martin Amidu as Special Prosecutor. According to him, under section three of the Special Prosecutor's Act, the Office can investigate alleged corruption and corruption-related offences, which are submitted to Parliament and the Attorney General by the Audit Service. He added that given the extensive mandate of the Special Prosecutor, it is imperative that they allow the new Office to commence its work fully in order to assess its capacity. Mr. Domelevo had earlier placed a request to the Attorney General for prosecutorial powers to enable his outfit deal with persons and institutions indicted in the annual audit reports. News of the request from the Auditor General for the prosecutorial powers was met with widespread commendation from Civil Society and the general Ghanaian public. Many people praised Mr. Domelevo for his desire to ensure that persons who misappropriate state funds are made to face the law. However, after some suggestions that his request was an indictment on the Office of the Attorney General for their failure to prosecute persons cited in the audit reports, Mr. Domelevo chastised the media for exaggerating his call . He reiterated his assertion that he wasn't in dire need of prosecutorial powers on Eyewitness News, adding that he was merely “offering a helping hand” to the AG. “What we want to do is to hold people accountable. To be honest, prosecution is not my responsibility. My predecessor actually applied for [prosecutorial powers]. People think I want to use my auditors to go and prosecute I have a legal department which is staffed by professional legal practitioners. When they brought it to my attention, I thought that to get them occupied and with the AG saying she has 300 instead of the 600 [lawyers] that she may need to run her office, I thought that why not ask the AG that if it pleases her, we can help in prosecution,” he said. Mr. Amidu was sworn in on Friday, February 23, 2018 at the Flagstaff House by President Akufo-Addo in the presence of the Vice President, Mahamudu Bawumia; Chief of Staff Frema Opare; Attorney General, Gloria Akuffo and other government officials. 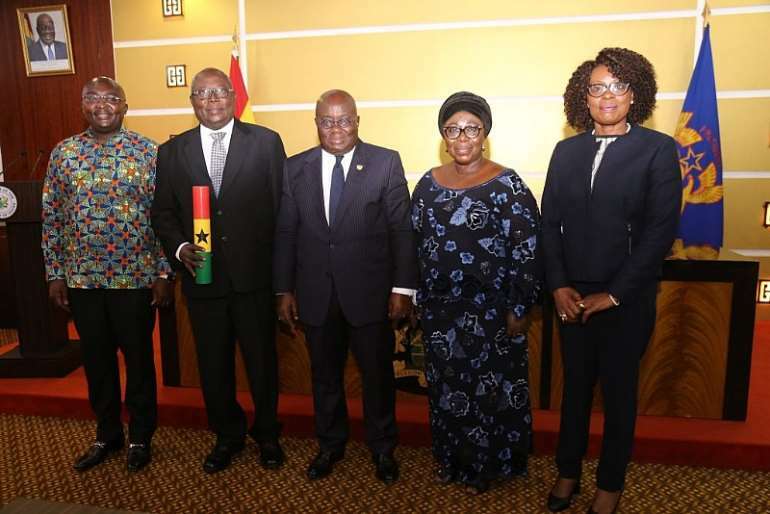 The former Attorney General received unanimous approval from Parliament, and was widely acclaimed by the Ghanaian public for his performance at his vetting.